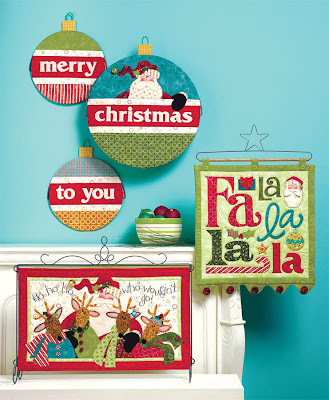 The Fat Quarter Shop is excited to welcome Nancy Halvorsen to the Jolly Jabber. 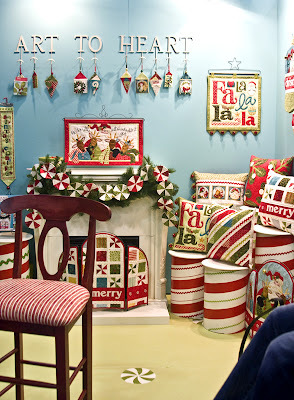 Nancy Halvorsen’s latest fabric collection is Jingle All the Way from Benartex Fabrics. 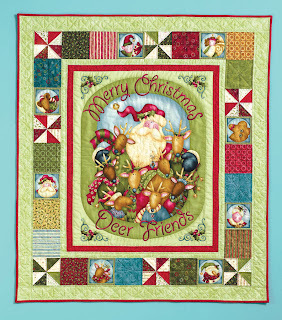 She also has a brand new quilt book called Jingle All the Way and it does make you want jingle all the way! Q: What was the first seed that grew into the Jingle All the Way collection? 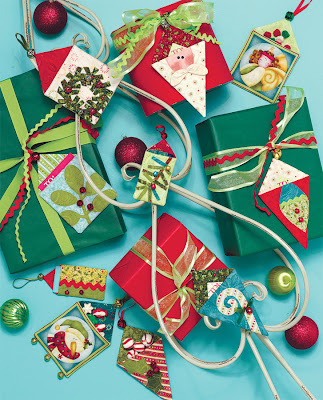 A: Christmas is my favorite holiday, so I don't need much urging to do a Christmas fabric line. I wanted to focus on the fun of Christmas and the joy of sharing with family and friends. I named the line "Jingle All the Way" because it's the sound of "Oh what fun!". A: That's not a fair question...it's like asking me to choose which of my children is my favorite, when all of them add their own special character to what makes my family! To make a snuggly quilt for anyone who needs some warmth and comfort. There is nothing more comforting than wrapping up in a homemade quilt! 1. What is your guilty pleasure food? That's easy! Chocolate, or anything with chocolate in it. Chocolate makes me happy! It's hard to decide between "reading" and "hugging and playing with my grandchildren"! I love to watch movies while I sew, but I can't watch any new movies because then I watch and don't sew! Aqua! Because I just finished painting the wall aqua for my photo shoot and then my booth walls for Quilt Market the same color. It really makes the creams, reds and greens of my line "pop"! The dressing...you can have bland fixings for a sandwich, but still make it taste great with a spicy mustard!